Just because someone’s overall mental and physical health is good doesn’t mean they don’t need an extra hand here and there. For many seniors, good health still comes with the expected restrictions of aging. Limited mobility, low energy and other factors can make it difficult to get out of the house and run even the simplest errands. A friend or family member who checks-in regularly can make retaining independence later in life easier; however, for seniors who don’t have someone to help them, daily life can be both challenging and a little bit lonely. There’s a common misconception that if a person has a caregiver or assistant, it’s because they can no longer take care of him or herself. This, however, is not always the case. Many seniors simply need a caregiver to help them do things once or twice a week like grocery shopping or making a trip to the barber. And, more than just a helper, a caregiver can be a friend or companion to go to the nail salon or out to lunch. Brad Rossman of Synergy HomeCare points out seniors who become isolated can grow depressed and mentally not healthy. Seniors need to get out of the house like they used to. A caregiver could be just what they need. Synergy HomeCare caretakers understand that helping a healthy senior stay mentally stimulated is important to their overall health and happiness. Mental stimulation is being proactive and just as important as services provided to clients who have grown to be mentally or physically limited from aging. 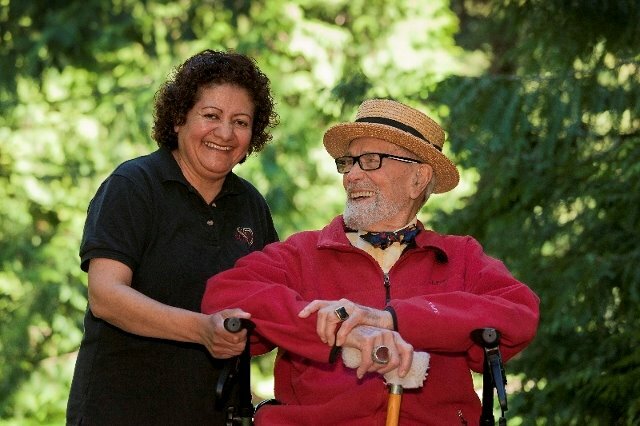 Seniors who need a hand or who are even just seeking a companion to run errands with are encouraged to contact Synergy HomeCare for an interactive needs assessment. This assessment can help determine what level and frequency of care is needed and if in-home care is the right option for you. For more information about this and other Synergy HomeCare services, visit Synergy HomeCare online (www.synergyhomecare.com/olympia) or call Synergy HomeCare at 360-338-0837.